Honey has a long lineup of benefits due to its antibacterial and antiseptic properties, as well as being high in Vitamin C and full of antioxidants. Next up on the list of benefits is its ability to retain moisture due to it being a natural humectant. It really is a one-stop shop! The golden ingredient is a total warrior when it comes to fighting acne, from prevention of unsightly spots to diminishing the unsightly inflammation from previous breakouts. With its low pH levels, honey is antiseptic, which is an ideal situation for fighting acne-causing bacteria in order to help prevent future breakouts. Have you recently had your dealings with acne and have fresh wounds to prove it? Honey is an anti-inflammatory, nurturing ingredient, giving it the ability to heal your skin faster to help prevent scarring from occurring. These same properties help it to alleviate existing bumps and breakouts by drawing out excess fluid and lessening redness all around. “A lot of beauty bloggers use our Cosrx Ultimate Moisturizing Honey Overnight Mask as a first aid treatment, and the next morning they see that their redness has gone away,” says Miko Kuo, President of USA Cosmetics, Inc.
Honey is also a natural humectant, making it a great choice for dry skin (a natural humectant is something that has the ability to draw in moisture and retain it). This not only means your skin will be and will stay well hydrated, but it also means that honey will help to fight off lines and wrinkles for a more youthful look. The incredible amount of antioxidants adds an extra barrier to protect against aging skin by fighting against environmental stressors. And last but not least? 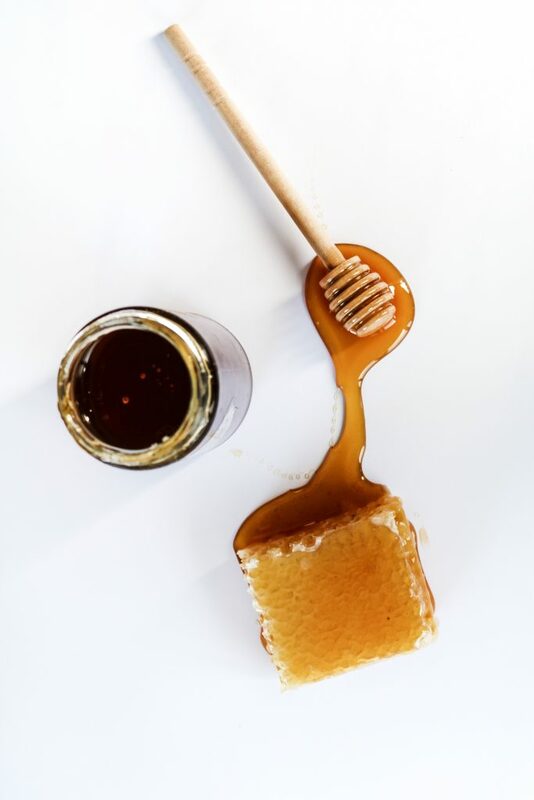 Even though honey covers so many bases and is a natural fighter against so many skin issues, it’s incredibly gentle about it and is a great ingredient to look for when dealing with sensitive skin. How’s that for natural skin benefits? No wonder it’s one of the most widely used natural ingredients in beauty products! And check out the G9Skin Honey Patches to nourish your under eye area!